Any serious hunting enthusiast obviously knows that tough adventures require tough gear. You want a durable tactical bag, you can easily grab and go when things get messy – the perfect definition of the Direct Action Ghost Tactical Backpack. The legendary tactical gear comes fully packed with all the basics and even luxuries of a premium hunting backpack. For instance, it is a versatile bag that can be used both as an everyday daypack or outdoor tactical gear – your choice. It is however, at its best when facing abuse from the unforgiving, wild nature. To put this into perspective, here’s an in-depth look at the Direction Action Ghost backpack. Enjoy. Before diving right in, it’s worth mentioning that this backpack is quite easy on the eye and you’ll likely feel drawn to it from the get go. It is perfectly designed with great aesthetics, quality materials and premium finishes. That said, here are some of the features to expect. As earlier mentioned, this is by far the most ideal backpack for serious “outdoor’ers” and the fact that it boasts a bombproof 500 Denier Cordura material says it all. If you’ve been hiking or hunting for a while, chances are you’ve encountered some quality issues with your backpacks. There’s nothing as frustrating as stuck zippers, ripped materials or snapped straps while out in the woods, right? Fortunately, Direct Action has you covered in this regard. As a tactical backpack designed for aggressive hunting applications, you can bet on it to handle any form of abuse Mother Nature throws its way. There are several risks involved while out gaming with friends and having a bullet proof backpack with you certainly doesn’t hurt. Are you tired of the daunting bulges formed at the back of most backpacks when you load them to the brim? Well, the Action Ghost has this covered too! As earlier stated, the aesthetics are purely exceptional, but who knew the taller, slimmer profile it boasts can also make your hunting adventures worth the while? It is a lightweight beast innovatively crafted to distribute weight in uniform fashion and while at it, make your hunting expeditions less daunting. The slim profile also serves as a refreshing change from the somewhat standard design of most tactical backpacks flooding the market. Speaking of aesthetics, you also get a unique camouflage pattern to help you maneuver the woods as a phantom. Talk of a “tacticool” bag. The Direct Action Ghost comes with pockets for days – literally. In fact, few tactical backpacks on the market can match the organizational storage space found on this gear. Unlike most bags which come with a single, large rucksack to fill your stuff in, this one sports a plethora of thoughtful pockets to stash all your hunting basics. If you generally enjoy packing your stuff in organized fashion, this gear has plenty of neat meshed pockets everywhere. Some tactical backpacks can quickly turn your hunting trip from a fun-filled gaming expedition into a nightmare – reason being the thin spaghetti straps that exert great pressure on your shoulders. In this regard, this tactical beast gets it right once again. It is perfectly designed with sufficiently padded straps; not to mention the breathable, soft back area and waist belt intended at distributing the weight evenly. If you are packing great amounts of load for a, say, three day hunting expedition, it will do a great job at preventing back aches without leaving you drained. The best feature, of course, has to be its sheer versatility that makes it adaptable for use in different scenarios. For instance, it sports innovative side compression straps that work at lashing down camping tents or tarps if need arises. It goes without saying that most bulky goods require to be lashed towards the outside in order to create space for the items stuffed inside – it would be an uphill affair without strong compression straps to help you out. You also get a laser cut molle to help you in this regard; not to mention compatible pouches intended at increasing your storage capacity. Natural feel with a cozy touch and comfortable straps. Detachable features for enhanced portability. Strong, durable bombproof 500 Denier Cordura materials. Webbing intended at hooking small items such as keys or a flashlight. Unique slim profile design with great camouflage patterns on the exterior. Numerous pockets and tons of organizational space. The numerous nooks and crannies can make it a little confusing. 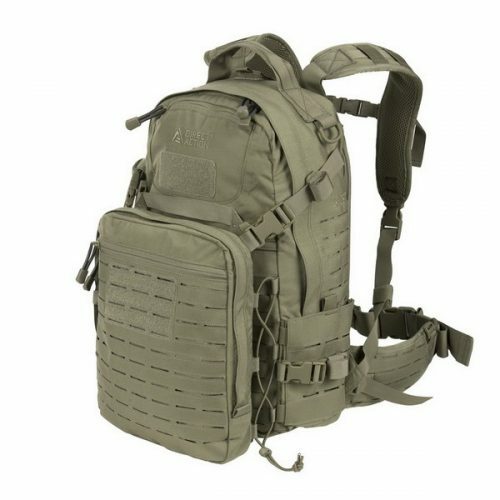 A little expensive compared to other tactical backpacks of its class. 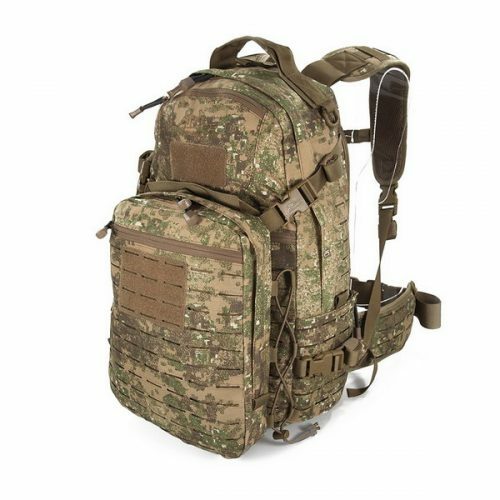 Three-day tactical backpack designed for advanced hunting applications. 100% 500 denier Cordura materials, DWR coated. Low-profile, unique laser cut PALS/MOLLE system for a snag-free fit and lightweight feel. Water-resistant, durable material with numerous camo/color options for versatility. Patented Combat Vent System® for enhanced comfort over extended periods of time. Near-Infrared treated exterior with PenCott, Kryptek and Multicam design to help mitigate detection with night vision. Q. Does the Direct Action Ghost Tactical Backpack come in different colors? A. Yes! You have a wide range of color options and camouflage patterns to choose from, meaning it shouldn’t be a hassle finding one that tickles your fancy. Q. How much luggage can you fit into the Ghost backpack? A. The versatile bag has been designed for three-day camping or hiking expeditions outdoors. In a nutshell, you can carry tons of gear without having to worry about overloading or weighing you down. Q. Is the backpack waterproof? A. Yes! It has been crafted using strong, water resistant 500 denier Cordura materials to prevent water absorption. Q. How long can the Direct Action Ghost tactical backpack last? A. This depends on how well you take care of it. However, the 500D Cordura exterior is built to last a lifetime if well treated. It is designed to handle any form of abuse the woods may throw its way. Q. Does the bad have D-ring attachments? A. Sure. You get a host of perfectly-placed D-rings attachments around the bag to help you hook your small items ranging from keys to flashlights just to mention a few. When it’s all said, the Direct Action Ghost Tactical backpack stands out as one of the best tactical gear to be ever made. It is purely a beast crafted for the serious outdoor enthusiast seeking a durable companion to accommodate all hunting basics. 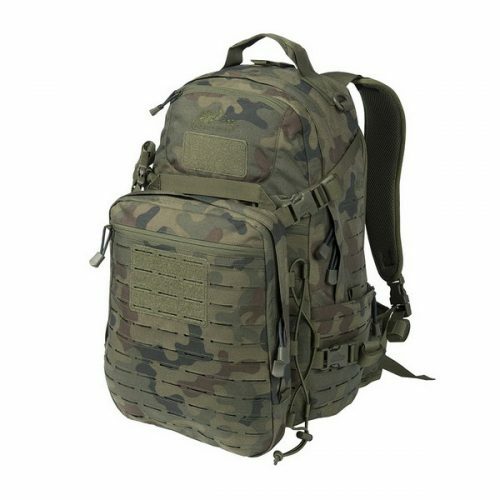 For starters, it sports unique aesthetics that easily outrank most tactical backpacks of its caliber. The camouflage patterns to be specific are highly unique and a refreshing change from the standard army hues we are used to. Secondly, what else would you ask for from a bombproof tactical hunting beast? Basically, it is highly unlikely the Ghost will fail you in times of need. Can you imagine a bag that just won’t open its zippers when you really need it to? Well, you can bet on this grab and go gear to serve you right when you spot a game. The bottom line is, the Ghost adheres to all stringent military-grade standards, meaning it is a quality product made for the aggressive. 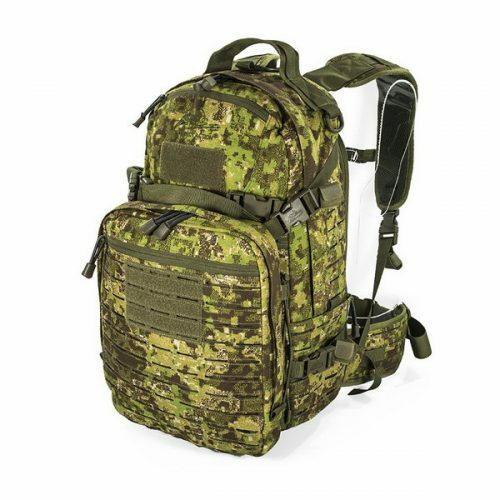 If you are in the market for a high quality tactical backpack for hunting, camping or even everyday use, your safest bet lies in this product and it is not that hard to see why going by the above. You get great value for your investment and a lifelong companion while at it. At the end of it all, you will be glad you chose Direct Action Ghost.